I hope that you all had a wonderful Christmas and New Year! I’ve asked Michael to start off this year’s blog posts by sharing with you our activities over the festive season. For as long as Elena and I were together and our parents were alive, Christmastide had a special meaning since we attempted to recreate for them what they had given us so many years before… on the other hand, since they have all gone Christmases have become quite different and a time for peace and reflection rather than celebration. This year we stayed home and enjoyed the tranquility(!) of Mexico City, believing that the two best weeks to stay here in the city are between Christmas and New Year and Semana Santa. However, this year we enjoyed a very different experience courtesy of Amazon Prime! A few months ago we joined Amazon Prime primarily to enjoy free postage on items we bought but we discovered that it came with access to an incredible library of TV programs, many of which we had wanted to view. The first was Julian Fellowes’ adaptation of the Anthony Trollope novel DR THORNE which was made especially by Amazon and was brilliant. The script, production, acting, music and everything about it was really great – the only drawback being that there were only four episodes! 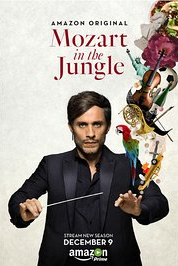 The next series we discovered was another “Amazon Original” MOZART IN THE JUNGLE the saga of a Mexican conductor (Gael García Bernal) who is appointed music director of the “New York Symphony”. It is highly entertaining and especially touching for the musicians amongst us! We watched the first two series and eagerly await the third! Incidentally, in the second series (largely filmed in Venice) we hear the wonderful voice of Ana María Martínez, a winner of Operalia, and someone we will surely hear a lot more of on the future. This Christmas we decided that we would binge-watch DOWNTON ABBEY about which we had read and heard so much over the last decade. There are in fact six series, each with seven or eight hour-long episodes, and we are now three quarters of the way through. It has been the most remarkable experience. The history of a historic house in England and the people who live in and around it: very much ‘upstairs and downstairs’ with the history starting in 1912, continuing through the first world war and into the twenties, a time of extraordinary social change. The concept and script is again by Julian Fellowes, himself and actor as well as a writer – and a member of the landed gentry, being a Scottish nobleman. It is an incredible saga of English life in the first part of the twentieth century and a history lesson as well as an incredible human drama. For those of you who have never seen it, I cannot recommend it too highly as it is truly British television at its very best. It was especially poignant for us to see the beautiful English landscape (“England’s green and pleasant land”) and many of the historic homes which we have visited. 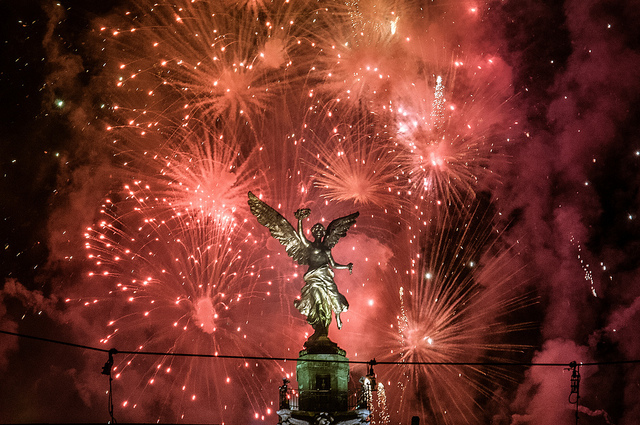 Now it is time to look forward to the new year and all its possibilities. For Elena, there are two major new works, several new recital programs including the Arpeggione Sonata which she is playing on the Alto Flute and a lot of performances of PEDRO MI AMOR my program celebrating Pedro Infante’s centenary. Our annual flute series in Sala Ponce will begin in May and features some of the leading principal players from Mexico City’s orchestras.